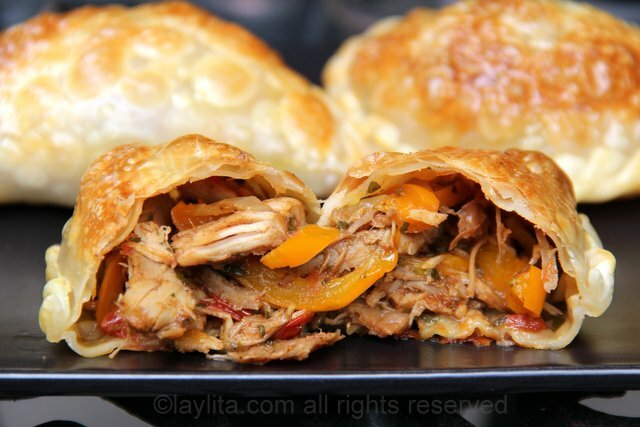 These homemade chicken or turkey empanadas are filled with leftover shredded turkey or chicken, onions, garlic, peppers, tomatoes, cumin, oregano and balsamic vinegar. Empanadas are the one of the best ways to use leftovers and transform them into something different. 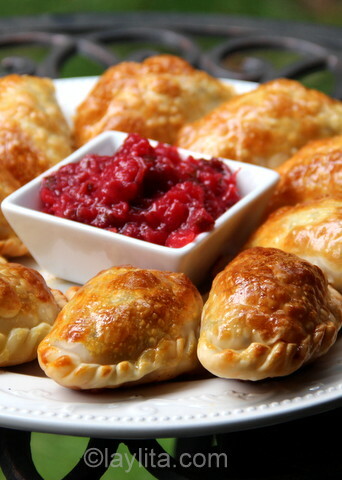 These turkey empanadas are very easy to make, especially if you use store bought empanada discs, and will help you turn that leftover turkey from the holidays into a quick and tasty meal. 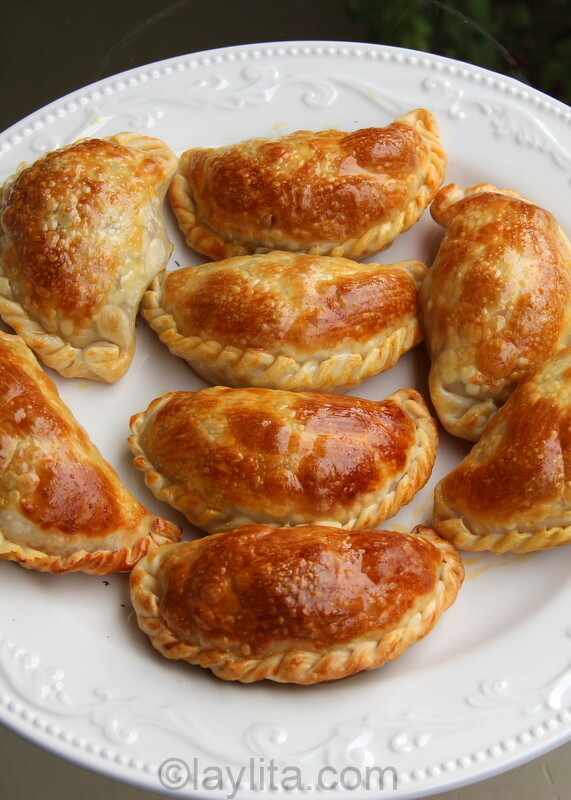 One of the many things that I love about empanadas is their versatility; you can create something completely different every time you make them by combining different ingredients each time. 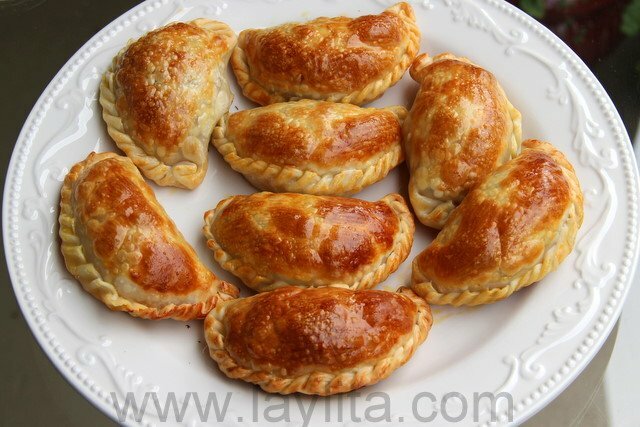 For these empanadas I made a filling using onions, bell peppers, garlic, and tomatoes with spices like cumin and achiote; I also added a little bit of balsamic vinegar and fresh oregano to add extra flavor to the turkey. 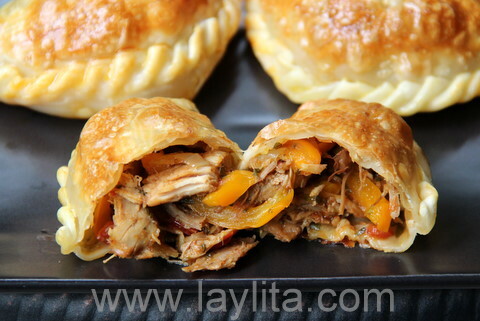 Recipe for homemade chicken or turkey empanadas filled with turkey or chicken, onions, garlic, peppers, tomatoes, cumin, oregano and balsamic vinegar. Melt the butter in a medium size frying pan. 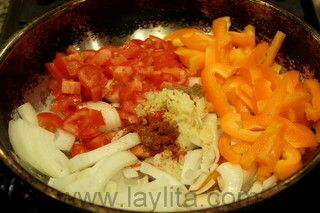 Add the onions, tomatoes, bell pepper, garlic, achiote, and cumin. Cook for 10 minutes over medium low heat, stirring occasionally. 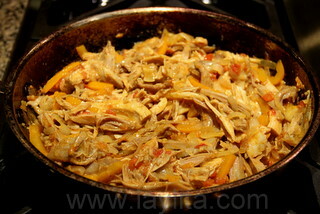 Mix in the shredded turkey and stir well. 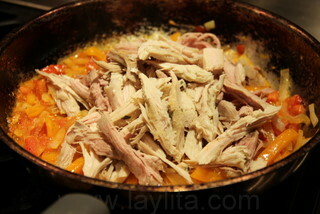 Add the turkey gravy and balsamic vinegar; continue cooking over low heat for another 5 minutes. Let the turkey filling cool down, and then add in the chopped oregano. 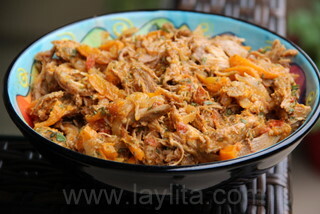 To assemble the empanadas spoon the turkey mixture on to the center of the each empanada disc. Brush the edges of the empanada discs with the egg whites, you can also use water but the egg white acts as a natural “glue” that helps seal the empanada. 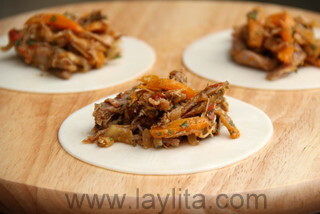 Fold the empanada disc and seal the edges gently with your fingers, twist and fold the edges of the empanadas with your fingers. 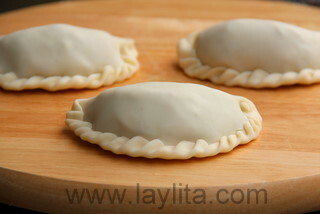 To seal the edges further you can use a fork to press down and finish sealing the empanadas. 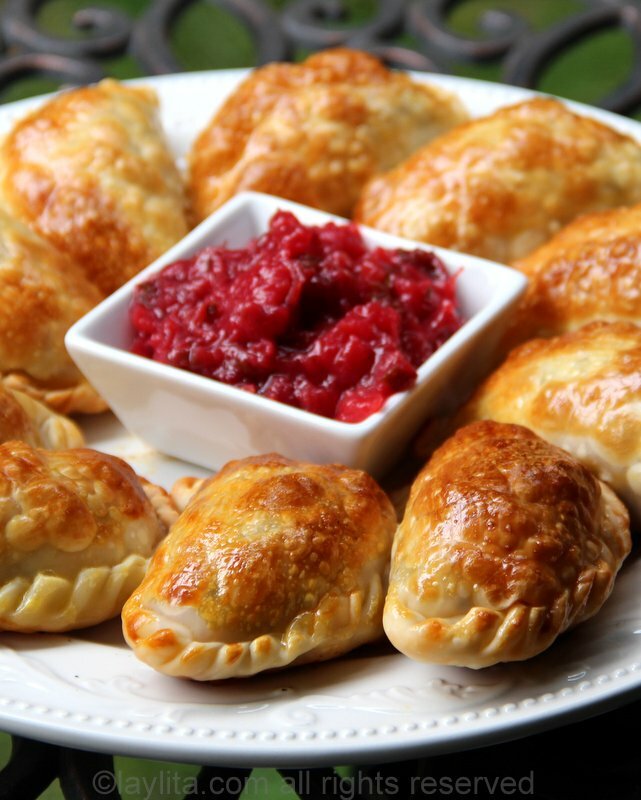 These empanadas can also be made with leftover chicken – great use for those times when you have leftover roasted chicken. They can also be made with ground turkey, but you will need to increase the cooking time for the filling if you use raw ground turkey. 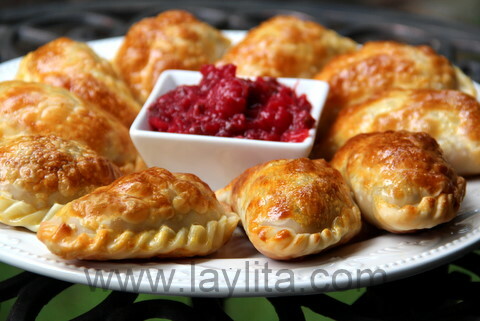 I like to serve empanadas with dipping sauces, for these I used a spicy cranberry mango sauce, other sauces that would pair well with these turkey empanadas are tree tomato aji or a quick chimichurri sauce. 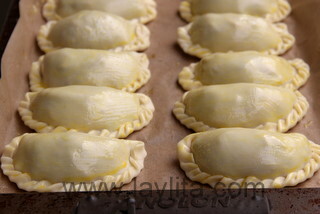 Can I freeze these, I am also making some beef and sweet empanadas and wonder if i can freeze them too? 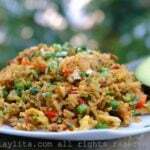 Yes, as long as the filling is fully cooked. I made these tonight and they were fantastic. This was my first empanada-making experience, and thanks to your guidance, this will not be my last! Te agradezco mucho! ¡Feliz Año Nuevo! You can also buy the frozen discs at most Latin grocery stores. I love your empanadas!!! I have made several of them! Delicious! Keep up the good work! aww man! Laylita rocks…your awesome. thank you for your recipes! Can’t wait to try them. Peace!!! Just found your site. Can’t wait to try this tomorrow. 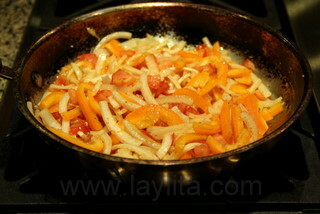 Hubby and I are going to make empanadas de camote as well. Should be a great meal. Thanks. 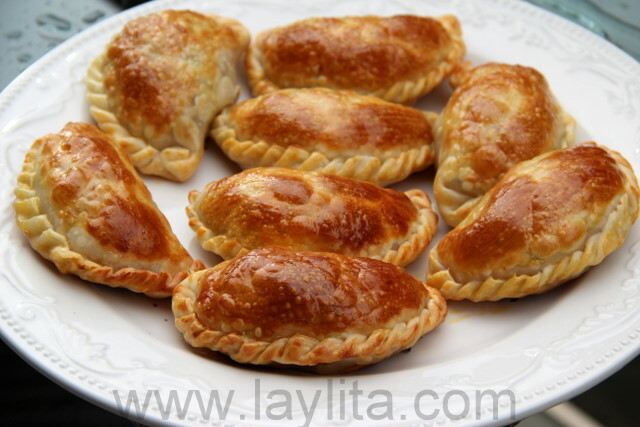 I plan on making these for a Thanksgiving party…do you think I would compromise the taste by cooking the filling in achiote oil (my grocer is out of ground achiote) instead of butter? Hi Vishka – That sounds delicious! The great thing about empanadas is that you can always adjust the filling based on what you have available and your taste. Happy Thanksgiving! 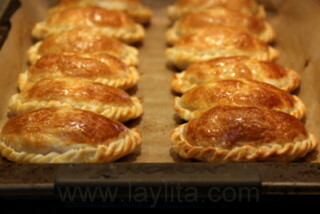 I am known at home as the empanada queen. I like using left over meat for them. 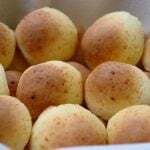 Yours look absolutely wonderful…the color…the shine….beautifully baked. Feliz y Prospero Ano Nuevo!